"Children learn best through play." Since our collaboration with Jowonio School in 2001, our 3-5 year old students reap the benefits of a multi-disciplinary team of Regular Education teachers, Special Education teachers and support staff, a Physical Therapist, Occupational Therapist, Speech Language Pathologist, and Family Support Liaison. Our blended expertise and enriched staffing allows for a minimum of 6 staff to 27 children on any given day. 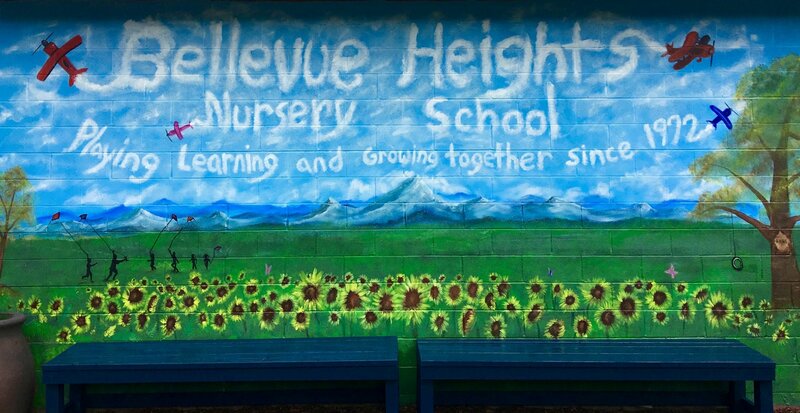 Our mission at Bellevue Heights Nursery School is to create a nurturing, child-centered environment where children learn through play and are empowered to make decisions, solve problems, and to build relationships that promote the inclusion of all people and a love of learning.